After dropping their Round 15 game against the Cairns Marlins, the Rockhampton Rockets are attempting to defend their State title via the long road. They had no concerns with the Mackay Meteors in the sudden death Quarter Final last week (93-69) and with the team hitting just under 50% from the field they are playing at a level that could see them go the distance. 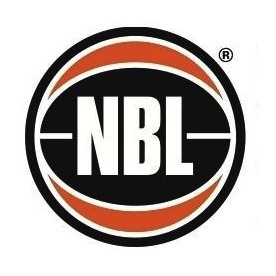 The Brisbane Capitals struggled with the Rockets in Round 14 going down 73-98 and turning back the clock to 2008 this game is an exact replay of the Semi Final where the Rockets grabbed a 96-85 win before going on to win the State and National title. The Capitals played a super productive second half in the Northside Wizards Quarter Final (58-36) to close the chapter on their year with Ben Castle being recognised as Player of the Week for controlling the League’s highest scorer (Cameron Tragardh). No home court advantage for either team with both flying up to Cairns on Thursday. History suggests that the Rockets will shine through. Unbeaten at home since April 2008, the Cairns Marlins have an amazing record that they will try to keep in-tact here. Coach of the Month Aaron Fearne will take focus off the Taipans this weekend and put all his eggs in the Marlins basket with expectations quite high of them going all the way. This is pressure that the South West Metro Pirates don’t have, as they fly in with a nothing to lose attitude. Forget the regular season and comparing who has the better record as it comes down to this 48 minutes alone. He who can perform better on the night will progress to the Saturday night Grand Final. The Pirates have only ever collected 1 Championship (2003) and to get this they had to get past the Marlins. The Pirates were in the doldrums back in Round 7 when they faced the Marlins losing the game (72-91). This time around they are on a 6-game streak with the team’s best effort yet in the Quarter Final win over the Goannas (110-100). The Marlins are in shape, in form and should manage whatever the Pirates throw at them.